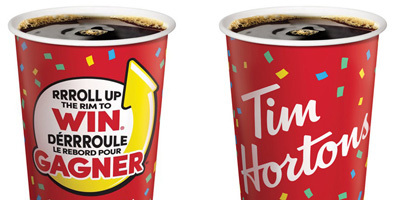 Tim Hortons popular ‘Roll Up the Rim to Win’ contest starts today. This year, the food-service franchisor has partnered with Jeep. 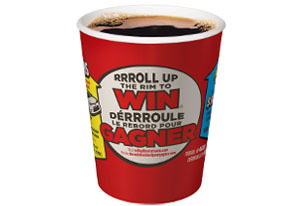 Tim Hortons is celebrating Canada’s 150th birthday by giving away 49 million prizes through its ‘Roll Up the Rim to Win’ contest this year. Tim Hortons kicks off Roll Up the Rim with surprise for Windsor, N.S. 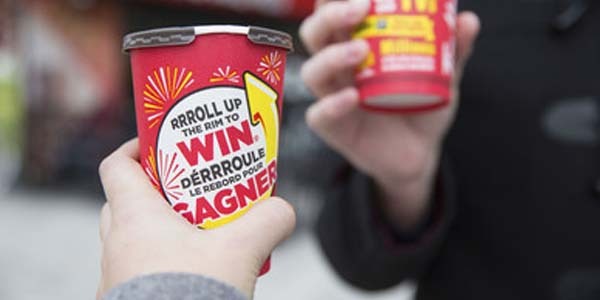 Canadian food-service franchisor Tim Hortons surprised residents of Windsor, N.S., by changing the town’s name on local signage to ‘Winner’ to kick off this year’s ‘Roll Up the Rim to Win’ contest. The new signs were put up overnight everywhere from the local arena to the mayor’s office door.